Hello. I was hoping someone here would be able to answer a quick question for me please. I have two Robellini Palms in my front yard and recently they started producing seeds and making a mess all around the trees so I asked my gardener if he could please remove the seed pods from under the trees. He said he would, but when I came home, I was actually shocked to find that he trimmed all the lower fronds from the palms and did not remove the seed pods at all. I instantly reached out to him to ask why he did not remove the seed pods and he said because those seeds are going to become new fronds and the brown parts will just fall off on their own. I cannot find any information on this online so I am unsure if it is true or not but it does not sound accurate to me. 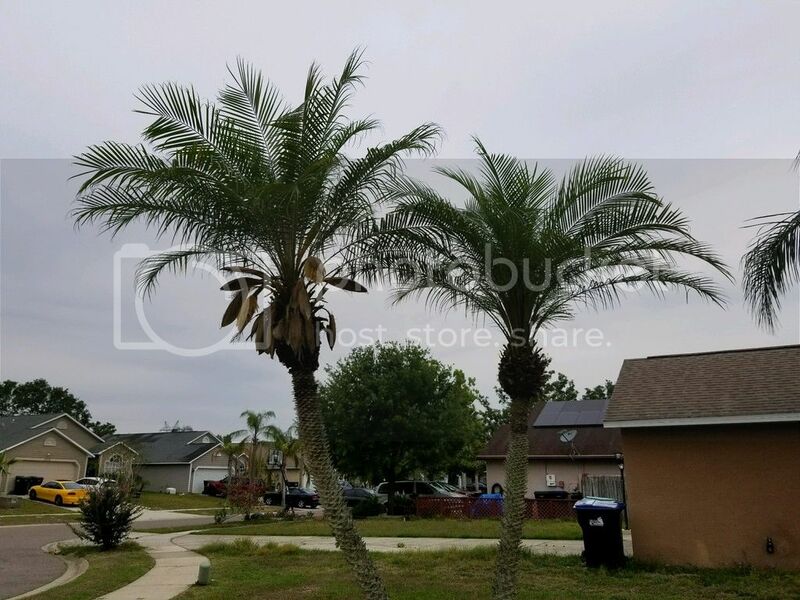 Furthermore, I found out online that if you trim Robellini Palms to look like a 'rooster head' like what he did, it can actually cause the tree diseases or even cause it to die. So now I'm freaking out a bit because I love my trees so much and I'm terrified that they are going to catch a disease or die or that the fronds will not grow back because I loved the way those trees looked before. I guess I'm just looking for answers on this. Do the seeds really turn into new fronds? Also will my tree's fronds grow back and will the trees be okay? Thank you so much for any answers you may have for me, I truly appreciate them. 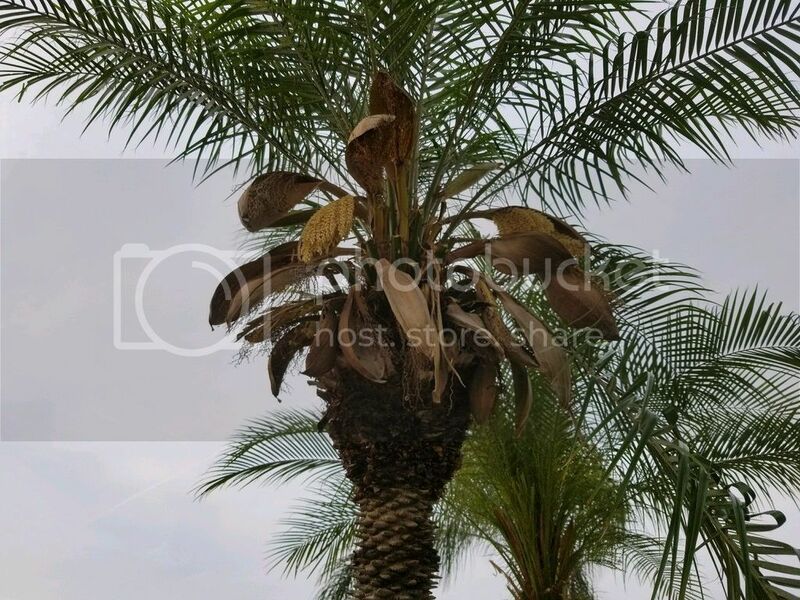 Below are images of what the Robellini Palms look like now as well as the seed pods.